Do you feel like you want to change something in your home, but you aren't sure what it is? Sometimes the urge try out a new paint color, experiment with some designer rugs, or even redecorate an entire room can come out of nowhere. The home décor bug can be very contagious, but there are some people who want to revamp their style but they aren't sure how. 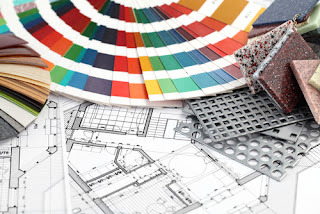 It can be difficult to translate your person style into interior design projects, but if you're having trouble there are some things you can do to make the entire process easier. It may seem strange to figure out your new décor scheme by looking at what you already have, but the way your room is currently decorated can say a lot about your personal style. Take a look at other rooms in your house so you can get a good idea of what colors and fabrics you're partial to. This won't just help you get a better idea of what your personal style is; it'll also help you figure out what you don't want to replicate in your new design. Take a moment and think about your ultimate dream home. What color are the walls? Do you see a lot of paintings, or do you see pictures of your family and friends? Are the floors made of beautiful tile, or are they covered in luxurious carpeting? It may be awhile until you can afford your dream home, but you can get some decorating ideas from it. What was the last item you purchased? Maybe it was food, maybe it was clothing, or maybe it was something else entirely. You may have purchased something because you needed it, but think about what you drew you to the item you bought. If it was the color, think about using the color to decorate with. If it was the texture or feel of it, you may want to get couches covered in the same fabric. If you're having trouble finding your décor style, you may be able to get some ideas online. Find interior design bloggers and see what they're posting about, or look for an online publication for interior designers to see what the pros are doing.